Well-i-Hole Farm is a family run business in Greenfield, Saddleworth, situated north east of Oldham, North England, in the green, Pennine Hills that were part of the West Riding of Yorkshire. Greenfield is known to many as the jewel in Saddleworth's crown. The farm had been operated by the Hadfield family since 1923. The site is now run by Steve Walsh. 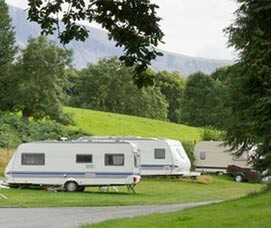 Well-i-Hole Farm is a quiet caravan site, situated in a picturesque valley with spectacular views . Within walking distance from pubs, restaurants, shops, sports, band clubs, canal and churches! Right in the heart of beautiful Saddleworth, it's an ideal place to spend a relaxing holiday. 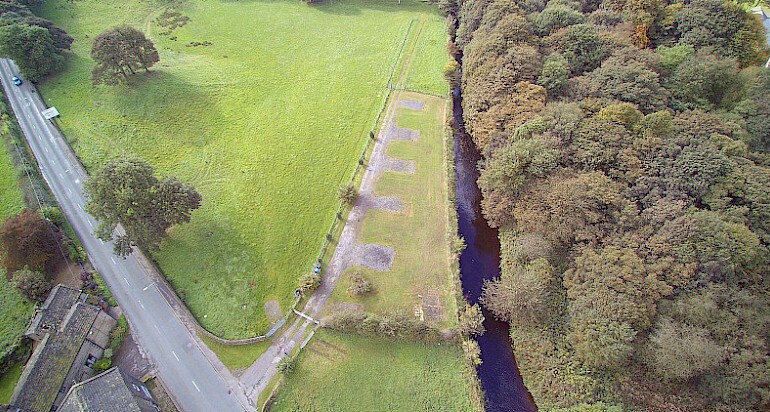 Perfectly situated for events and festivals like the Whit Friday Band Contests and Saddleworth Show. Walking distance from bus stop and Greenfield Railway Station, in middle of Manchester to Huddersfield line! With electric and free use of showers (no extra charge for awnings). With electric and free use of showers. With free use of showers. Electric available. Set in one acre of land, the campsite offers peace and privacy with sheep, horses and pigs at the working farm nearby and many breath-taking country walks. There's so much to do in the Saddleworth district. A wonderful selection of local historical landmarks, pubs, restaurants and shops are within walking distance and just a few minutes' drive away. Within a few miles you can enjoy a wide range of sporting activities. Why not try mountain biking around the Saddleworth Moors? There are also nearby squash clubs and gyms, or for the more relaxed, a quiet sheltered cricket ground nearby, tennis courts and bowling greens. Saddleworth is blessed with many fine dining options from Pub Grub to A la Carte Restaurants. Many of these are within walking distance or easily accessible via public transport. Leave the car behind and enjoy a drink with your meal. Leave the M60 motorway at Junction 23, onto A635 (Manchester Road). After 0.6 miles keep right onto Park Parade. Continue for approx 5.1 miles then turn left at the Royal George Hotel onto Well-i-hole Road. The site is on the right after 150 yards (before the bridge). From M62 Junction 22, follow signs for Greenfield.